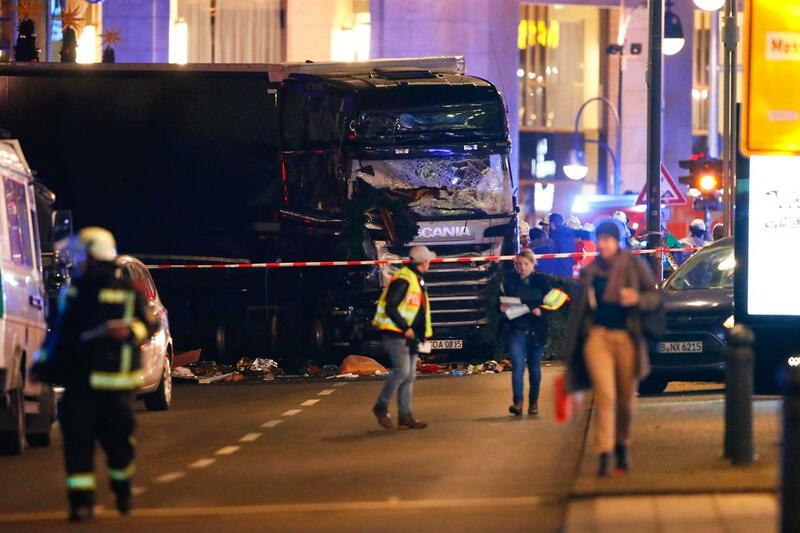 At least 9 people died, and other 50 were injured when a truck rammed into a big crowd gathered in a Christmas Market near the center of Berlin in Breitscheidplatz, Germany. According to local police officers, this incident must be considered as a terrorist attack. Witnesses at the scene said that this particular year the traditional Christmas market was more crowded than ever. The crash produced mayhem among all the people present, including kids and elderly adults. The U.S. State Department advised earlier this year that, as a consequence of the terrorist attacks in Europe, citizens must be alerted in Holiday season, since this time of the year is more prone to a terrorist assault. This alert will end on February 20. A lorry near the Christmas market in Berlin on Monday. Image credit: Fabrizio Bensch/Reuters. CNN reported that the driver of the truck was apprehended by the local police force while another person that was in the vehicle died at the moment of the collision. The Berlin Police Department announced the situation via Twitter and said that there was a significant number of injured people. According to local police forces, the truck was carrying a Polish license plate. Pedestrian Emma Rushton, who saw all the incident, said in an interview with CNN that the truck was traveling at 40 mph (64 kph) and never slowed down when approaching the crowd. She said that this event cannot be considered as an accident, as the number of people involved is too high. The chief editor of the Berliner Morgenpost news agency, Jan Hollitzer, explained in an interview how the people in the market felt the situation. “I heard a big noise and then I moved on the Christmas market and saw much chaos, many injured people. It was really traumatic,” Hollitzer stated after the crash. According to information from the New York Post and The Telegraph, the Islamic State has already claimed responsibility for the attack in Berlin. The Iraqi Popular Mobilization Force tweeted that ISIS is claiming credit for the incident. This is not the first time that Germany is the target of a terrorist attack this year. Back in July, a Syrian bomber committed suicide in a music concert in Ansbach injuring 15 people. He left a video of himself where he said that ISIS was his ally. That same month, the Nice terrorist attack left 68 dead at a concert on Bastille Day. Also, an immigrant teen stabbed 5 people on a train in Bavaria while alleging alliance to ISIS, days before the Nice attack. The White House through the Department of Defense and the French President Francois Hollande have expressed their condolences and condemned what they called a “terrorist attack”. Both governments offered help regarding further investigations on the matter.